Christmas traditions have been around since almost forever, but it wasn't until the 1800s that celebrations began to resemble how we celebrate today. Since most of my historicals take place in the 19th Century, I'd thought I'd share some of the traditions of that era. Preparations often started early. Mothers started the mince meat for pies three months in advance in order for it to mature. Younger family members strung traditional red and green around the house. Green for the continuance of Jesus's life, and red for the blood shed at His Crucifixion. 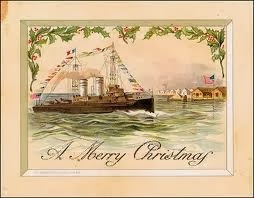 In the 1840s, the sending and receiving of Christmas cards became something to look forward to. A week before Christmas, the family searched for the perfect Christmas tree, often a fir and dragged it home to decorate. The night before Christmas was normally spent at church. When the family arrived home, the children hung stockings in hope Father Christmas would leave a treat. In return, they left Mom's mince meant pie which she had prepared weeks ago. The Civil War brought about the biggest change in how Christmas was celebrated. As with slavery, the North and the South were divided on the issue of Christmas. Many Northerners saw sin in the celebration of Christmas, choosing to put most of their emphasis on Thanksgiving. 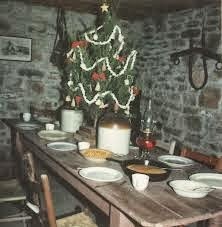 But the South embraced Christmas as an important part of the social season. The first three states to make Christmas a legal holiday were Alabama in 1836, Louisiana and Arkansas in 1838. After the War, traditions spread like wild fire. Children's books played an important role in spreading the customs, especially of trimming trees and gifts delivered by Santa Claus. Sunday school classes encouraged the celebration. Women's magazine suggested ways to decorate. In the anthology, A Pioneer Christmas, my story, A Christmas Castle, takes the reader back to a simpler Christmas. Here is a photo of what their home might have looked like. For your chance to win a copy of A Pioneer Christmas, an anthology with nine best-selling and award-winning authors, tell us of one of your favorite holiday traditions. One that my family started over twenty years ago is hanging a stocking for Jesus in the center of ours. Before we can dig into our stocking, we have to put something in His. Something only we can give Him. These are kept secret between us and the true reason we celebrate the Holiday. I love this delightful Christmas post! How interesting to read about the Christmas traditions of times past and how they resemble those we celebrate today. I had no idea that the North and South were divided on the issue of Christmas. Fascinating! One of our favorite holiday traditions is decorating our Christmas tree. We all take turns putting on the ornaments and decorations. My favorites are the ones the children have made. We look forward to making new ones each year to add to the tree. It is such a special time! I loved your article about Christmas! I really had no idea that using red and green colors in decorating had such religious meaning. Now I will think of that whenever I decorate and it will give me something to share with my grandchildren. I love to send cards, it is the official start to my holiday preparations I always take the time to pick out a special card for each person. Christmas Eve is family time to get together and celebrate so that is one of our traditions that I look forward to I never tire of seeing my grandchildren's joy of the holiday! Thank You and very early Merry Christmas to you. Awesome post, times were surely wonderful in a simplier way back then even if life was harder and more work. Would love to Read and Review this book. Interesting post. I didn't know about the colors of red and green being symbols connected with Jesus. I also didn't know about the difference in philosophies of celebrating between the North and South. One tradition I started after my husband died is adding some of his things as ornaments on the tree. Everyone seems to really enjoy looking at those things and reminiscing. Having no family I have no traditions. When I was little it was Christmas Eve dinner at grandma's. I love your post and I love Christmas stories. Traditions are wonderful and as my family grows, I love to see what my children have started with children of their own. One of my favorite holiday traditions is just having our Christmas tree up and spending time enjoying it. Such wonderful comments. 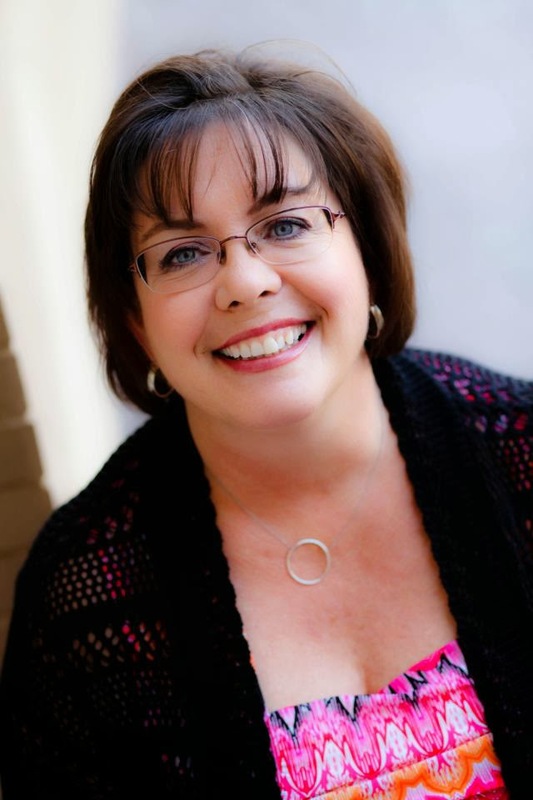 The winner of Taming the Sheriff is ...Linda Finn! My favorite tradition is our family box. We place gifts for each other or the family, to encourage each other in our walk with the Lord. Things like devotionals, Christian fiction/non-fiction, inspirational mugs, bookmarks, ect. Thanks for a great givewaway! Each Christmas before we open presents, my brother reads the Christmas Story from the Bible. Then we pray and each one tells something they are thankful for. What's amazing is to watch the children become so involved in the tradition. Thank you for the chance of this giveaway and please enter my name. We used to celebrate Christmas Eve at my parents home. Christmas Eve dinner with oyster stew and lasagna. Then we would open presents and a few of us would try and make it to Midnight Mass. Now there are more kids scattered and grown up that it is harder to get together. My mom is 95 now and no longer has Christmas Eve at her home. Sometimes it's at an older niece's home or a few of us go out to dinner and then wait for Christmas Day at my sister's to open presents. One of my favorite holiday traditions is decorating our house the Saturday after Thanksgiving. Since my dad and I have such different interests, it is one of the few times that we do something together where neither one of us wishes we were somewhere else or doing something else. We put on some of my dad's old Christmas records and tapes and just enjoy being together. My other favorite tradition is getting together with my mom's side of the family for a Christmas celebration. I always enjoy seeing my aunts, uncles, great-aunts, and cousins, playing games, and sharing good conversation. My dad's family doesn't meet anymore, so it's even more special to be able to meet with my mom's family. When my parents and grandparents were still with us, Christmas was a fun celebration in both houses. My parents and grandparents always made sure we had fun with 'Santa Clause' but always taught us the real meaning of Christmas. Now they are all gone, so we don't have those houses to go to now. We are now continuing our own traditions we started when our son was born, and since we lost our mom in 2010 we have started a few new traditions. My son just got married, so we will start having part of our christmas with them, so that will be a fun new thing. Its fun to start new things, but also sad that they are no longer with us. But its a blessing to know they are all having a wonderful Christmas in Heaven. oh,and I really enjoyed reading this post, and thanks for the giveaway! I love Christmas books! That's a really neat, unique, and special tradition your family has with Jesus' stocking. I think I'm going to that idea from you and make that a tradition with my family too! Thanks for a great post Cynthia!